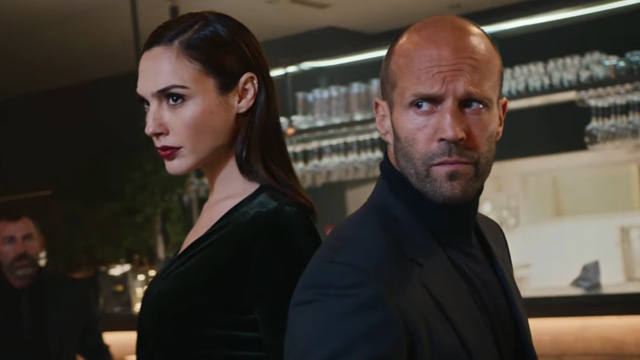 Wix.com teases it's 2017 Super Bowl ad...Get ready for action in our Big Game commercial featuring Jason Statham and Gal Gadot. When Felix, a business owner in a disruptive world, has to deal with Gal and Jason destroying his bistro, he keeps his cool. What first looks like a regular restaurant quickly proves itself to be a place for choreographed chaos. The chef, in the kitchen working on his website at Wix.com, is totally oblivious to the fighting that takes place in the dining area -- Gal Gadot and Jason Statham are taking on a group of opponents one swift kick and throw at a time. And, Statham doesn't hesitate to add a little more flare to the action. The whole thing ends with Gadot calmly asking the chef if she can have her dish to go -- and thus the food truck Gourmet to Go was born. "We wanted to do something disruptive in terms of creative," said Omer Shai, CMO of Wix. "The ad shows that it doesn't matter how disruptive the world is or the challenges you'll face in starting your own business—we'll be there for you."